Chinese policy makers have dramatically increased regulatory compliance requirements for imported dairy products, especially baby formula through the issuance and implementation of a series of new regulations and policies since last year, whcih pose a tremendous challenge to all overseas dairy manufacturers and exporters interested in exporting products to China. Long term relationship and interaction with Chinese governmental authorities has afforded our team unique insights and perspectives on current policies and future regulatory trends. This webinar will offer interpretation of the complex legislative framework for management of dairy products with a strong focus on infant formula and explain the most important steps and obligations for stakeholders to comply with. This webinar also intends to build a bridge between the overseas dairy industry and Chinese competent authorities to help clarify some of the major issues facing industry looking to export dairy to China. Questions raised by registrants ahead of or during this webinar are likely to be addressed with insights from officials in China AQSIQ and CNCA. Years of regulatory compliance experience and close ties with authorities has made the Food Compliance Service Team of REACH24H (FCS Team) China's foremost private authority on regulatory compliance issues relating to exportation of dairy to China. Our team have an unparalled understanding of both China’s chemical regulations and food legislation system. 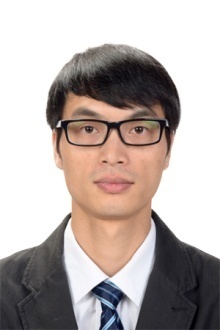 During this webinar Dr. Jacky Yu a senior member of REACH24H FCS team will provide key regulatory compliance advice and solutions to overseas food companies. After the presentation, there will be a Q&A session for 15 to 20 minutes, during which food experts from FCS Team will address questions from attendees.